You don’t get wrinkles – you lose collagen. Making up three-fourths of your skin, collagen is the framework for your body’s tissues. Collagen loss is a natural process that can be aggravated by aging, sunlight or other environmental stressors. When the collagen structure breaks down, sagging occurs, resulting in wrinkles and fine lines. Fortunately, CosMedic Laser Clinic can offset this with terrific results. Since scars are part of the normal healing process. Scars from acne, injury and ageing are a challenge particularly at the face. The scars become problems if they are visible on face and other sensitive areas. Only when superficial scars become cosmetically undesirable do they require treatment. This would include scars in those who are predisposed to develop keloids, as well as scars in anatomical regions known to produce thick scars and scars that produce a significant, unpleasant distortion of adjacent anatomical structures. Thick scars and keloids often flatten out after injections of steroids directly into the fibrous scar tissue. They can respond to the chronic application of pressure and the application of sheets of silicone rubber. 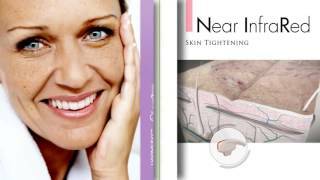 Thick scars can be flattened by micro needling, dermabrasion, medicines, surgical procedure, lasers. Certain types of depressed scars can be elevated by the injection of a cosmetic skin filler. 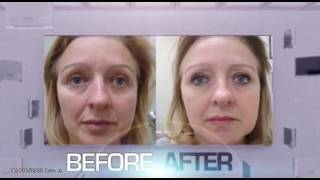 Certain types of facial scarring respond well to forms of laser treatments. Occasionally, surgical revision of scars can result in a different scar that is much more cosmetically desirable. Since it takes about a year for scars to mature, it is frequently prudent to wait before starting any invasive surgical. Specialized FDA-approved lasers target wrinkles and stimulate collagen production through a slight increase in skin temperature. This causes blood vessels to release repair proteins that produce new collagen and help smooth out wrinkles. We employ many type of treatments depending upon the scars type and desired outcomes and effort required to smooth the skin. The treatments are medicines, Eclipse micro needling and infuse platelet rich plasma (PRP) , growth factors and stem cells to naturally rejuvenate and build collagen and smooth the scars. We use IPL lasers to kill acne bacteria, Pixel Erbium laser to do skin resurfacing of skin, topicals and medical grade cosmetics products. The treatment plan depends on type of scars ( boxcar, rolling, icepick, keloids, stretch marks etc.) and outcome desired and effort required. Our physicians provide FREE consultation (408-945-0400) to our patients to assess if we can help and meet your expectations. Before and One Week After Pixel 2940 Treatment - Results may vary; all clients may not experience the same results. CosMedic Laser Clinic uses the FDA-approved Alma Pixel™ 2940 laser for skin resurfacing - aiding in the diminishing of fine lines, wrinkles and in the remodeling of collagen. Without many of the possible side effects experienced with traditional ablative skin resurfacing technologies, the Pixel 2940 delivers on par results with more comfort and convenience for our clients! Get the tighter, firmer, smoother skin you've been wishing for! Rejuvenation is the process of restoring to a new or more youthful appearance, and that’s exactly what our treatments aim to do for your skin. From wrinkle reduction to acne to tattoo removal, we are able to treat a range of conditions with the latest FDA-approved technologies. Corrects and revitalizes damaged skin through an optimal blend of AFT, microdermabrasion and ultrasonic facial therapies. This system restores the overall texture and tone of your skin while aiding in the reduction of discoloration and fine lines. Use in conjunction with your treatments the CosMedic Laser Clinic Repair Rejuvenation Kit! AFT™ is a trademark of Alma Lasers, Inc.
Pixel™ is a trademark of Alma Lasers, Inc.
Before and After - Results may vary; all clients may not experience the same results. Nearly everyone is afflicted with Acne at some point in their life. For some, it transcends adolescence and continues into adulthood. Acne can cause pain, both physical and emotional. We can help with lasers, light, mesotherapy and medicines depending upon your history and desired outcome. While there is no one cure for acne, light-based treatments can effectively help control breakouts. Our specifically designed AFT treatments kill the bacteria that cause acne and Laser 360 will reduce the Acne scars and rejuvenate the skin. And there’s a high likelihood that active acne treated in adolescence will not return in adulthood. Clear inflammatory acne lesions without drugs or undesirable side effects, with the AFT Acne Handpiece. Intense blue wavelengths in the range of 420-950 nm acne laser target the porphyrins produced as part of the normal metabolism of p. acnes bacteria. The interaction of the intense blue light and the porphyrins creates singlet oxygen that rapidly destroys the bacteria without damaging the surrounding tissue. We use AFT is the next generation of multi-application pulsed light technology. Its breakthrough design converts unused UV light into the optimal spectrum for each application.